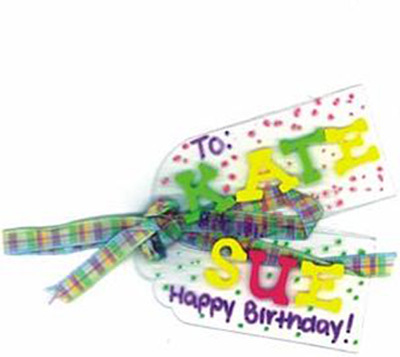 Project Description: Create your own custom birthday name tags with Grafix Craft Plastic. Die Cut or cut tag shapes by hand. Punch a hole in each of the tags. Decorate the tags with markers and foam letters. Tie the tags together with ribbon.